New aluminium version is now available, current batch is sold out but new batch will be available in 2-3 weeks if interested please contact me as they sell quickly. New windage handle and wand now available and will be fitted to all new batches of Auspod. Improvement is a very stiff aluminium collar and a much stiffer windage wand allowing for a new level of precision doing fine windage adjustments. Previously small windage adjustments using wand it was too easy to over shoot windage adjustment due to flex in the windage collar and wand. Now with Auspod on a surface like marine carpet with new wand and collar very small or large adjustments can be made accurately and easily. Weight without windage is still 452g and with new windage collar and wand fitted weight is still under 500g. 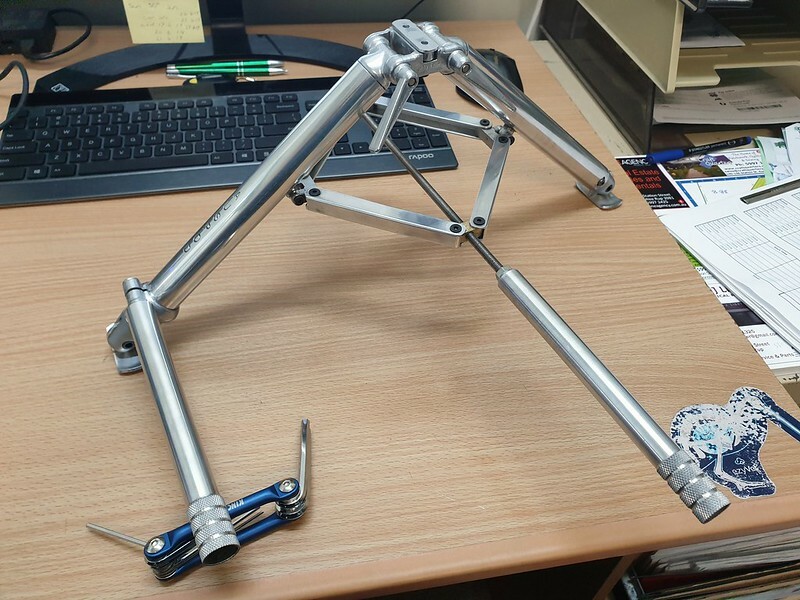 We now have as an optional extra titanium alloy elevator rods which are around 20g less than the stainless steel ones for those chasing the lightest possible bipod. The Auspod is also available from SARA and Qstore and Spring loaded gun store.